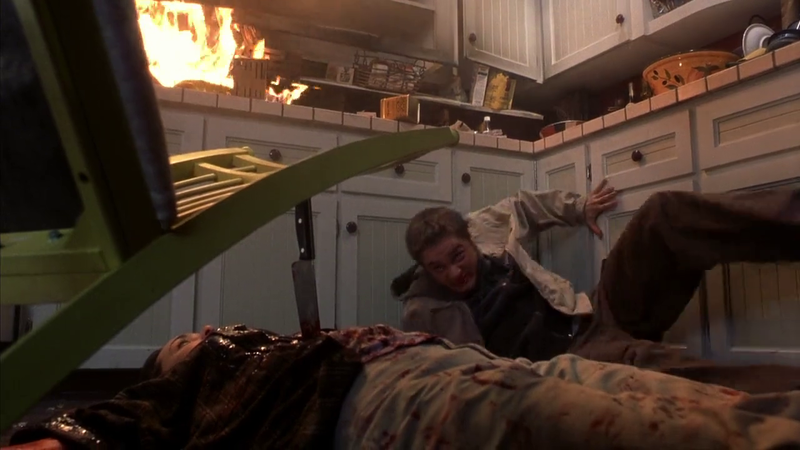 In 1996, the world was taken by storm with Scream, a fairly entertaining slasher film that tried really hard to be smart. Scream would start a new wave of slasher films, a subgenre that hadn’t seen a good day in years. After Scream we got I Know What You Did Last Summer, Urban Legend, Valentine and sequels to other franchises hoping to become relevant, such as Halloween H20 and Bride of Chucky. While everyone was talking about these newer slasher films, a small film was released and did pretty well. That film was Final Destination. Produced on a budget of $23 million, Final Destination isn’t a slasher film but follows a lot of the same of the clichés that slasher films do. 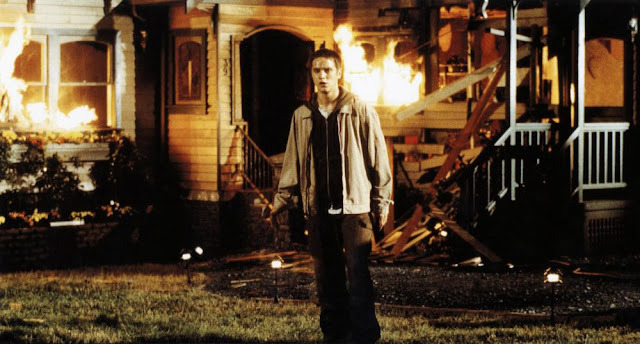 The film is about a group of high school students who get off a plane after one of the students, Alex, has a premonition about the plane blowing up. The students that get off with Alex are mad that they can’t get back on the plane but are sort of relieved when the plane actually blows up. This opening, where we see what happens inside the plane before going back to Alex waking up on the plane would go on to become a staple of the series and something that each sequel would try to top. The opening here is more realistic and something that we don’t really see coming. We know from the trailers that Alex sees something, but we are not certain that we are going to see it as well. A month after the crash, one of the survivors dies in an apparent suicide, but the other survivors know better and seek out help. They come across a mortician, played by the Candyman himself Tony Todd, who seems to know more than what he is letting on. He tells the group that, because they cheated death when they got off the plane, death is going to come after them to collect its dues. The rest of the film plays out as a series of scenes where a character is doing something that a normal person would do, but something will happen and that leads to another thing, which leads to another until the filmmakers feel that they have left the audience in enough suspense, and kills the character off. This is where the slasher formula comes into play. We don’t ever see the slasher of the film (death) but we see everything else. In a slasher film, the killer will stalk the victim until the time is right for maximum death and gore. This film does the same thing. Hell, in later films in the series there is the legend aspect, where a character explains what happened in the previous film, much like the explanation of the legend in any slasher film is done. The one thing that this film does that a lot of the slashers of the late 90’s is that it takes the subject matter seriously. Ever since the release of Scream, it seems that the slasher films, and the horror films in general, had to wink at the audience every once in a while to show that they were being witty. If you go back and watch the slasher films of the 80’s you will see that very few of the films winked at the audience. Friday the 13th, A Nightmare on Elm Street, Halloween, etc were films that were taken seriously. They presented us with characters that we could relate to and then gave us a killer we were afraid of and then gave us some scares. Final Destination has humor in it, but the film is not humorous. The characters act in a very realistic manner and they take the happenings in the film seriously. The latter films get less and less serious, but this first entry does horror right. The score by Shirley Walker is something that I was not expecting. Walker has done some really good scores in the past, most will know her from Batman: The Animated Series, and she does some tremendous work here. The filmmakers have given us a doom and gloom atmosphere and Walker adds a lot with her score. The title track that plays over the credits at the beginning is a great track and one that you will want to add to your library. Final Destination is a good film. It doesn’t talk down to its audience and expects it to figure things out before the film does. The film does explain things a little too much, but that is just par for the course. The film has likable characters, a fairly creepy atmosphere, and a wonderful score. The later films in the series would up the gore and lessen the scares, but this first film does everything just fine.